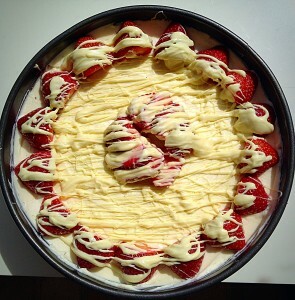 So Wimbledon starts today here in the UK and that can only mean one, two, oh well maybe a few things. First of all it means Strawberries, beautiful, British, luscious, red, ripe berries. While strawberries are available year round in the supermarkets, eating local, seasonal berries cannot be beaten. 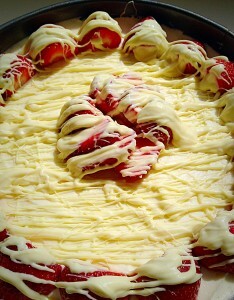 And to celebrate these gorgeous fruits I have created this White Chocolate Strawberry Cheesecake. Which brings me onto my second point; many afternoons will be spent over the next fortnight watching copious amounts of tennis. I kid you not. Because Wimbledon is a national pastime. Will Murray make it through to the final? Will the Williams sisters reign supreme? Second to our preoccupation with the weather (which is actually my third point! ), Wimbledon lovingly becomes THE subject of conversation. And taking precedence over my third point. 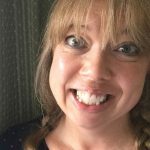 Will the weather hold? Will the roof be closed. So much speculation, umming and aahing takes place during Wimbledon AND it’s FUN!! I love the way we British, while watching a well known player blast their way through three sets against a relative unknown ALWAYS pull for the underdog. It’s one of the Great British traits I really admire. Yet for two weeks computers, iPhones, TV’s are all tuned to the BBC, for a glimpse of the All England Tennis Club’s freshly prepared, lawn courts, get thoroughly annihilated by some of the worlds top athletes. And Wimbledon is one of the highlights of my year. Can you tell? Since I had the opportunity to go, back in the day when John McEnroe reigned supreme, I’ve been sold on it ever since. In fact, should you get the opportunity to visit SW19 it’s a wonderful, Wimbledon, experience! 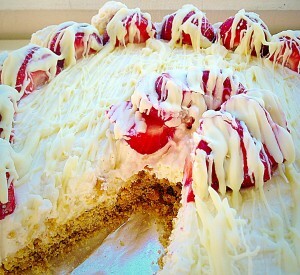 White Chocolate Strawberry Cheesecake – the perfect dessert for Summer. 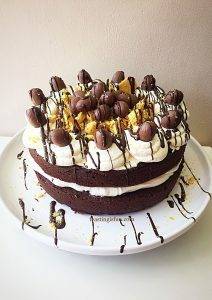 You will need a 25cm/10″ Springform Cake Tin for this recipe. 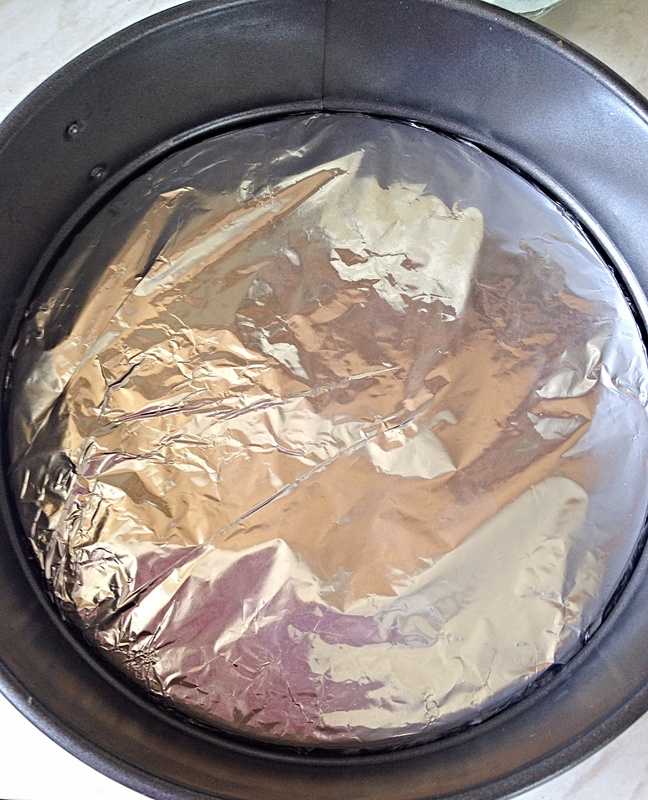 Since it can be quite difficult to remove the cheesecake from the base of the pan, I cover the base with aluminium foil and click into place. 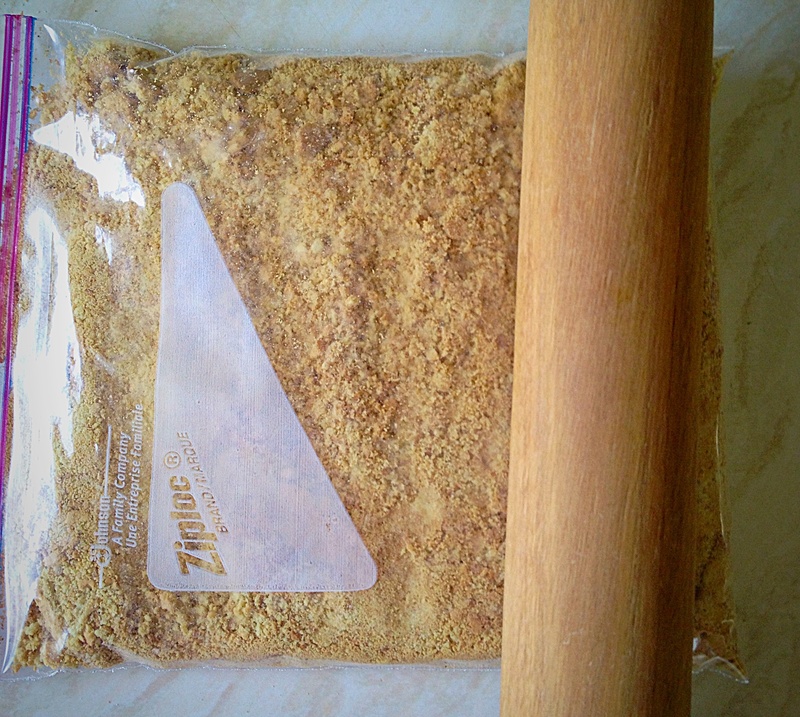 First of all, place the biscuits into a thick, sealed freezer bag and bash with a rolling pin, until they are broken and look like sand. 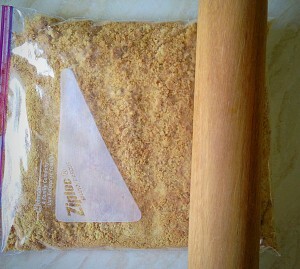 Bash the biscuits with a rolling pin until they are completely broken up and resemble sand. Put the butter into a small saucepan and melt over a low heat. As soon as it is melted turn off the heat. 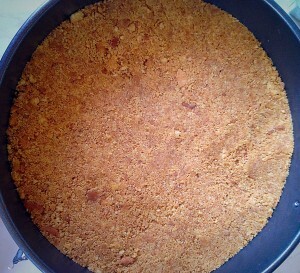 Tip in the biscuit crumbs and mix thoroughly. 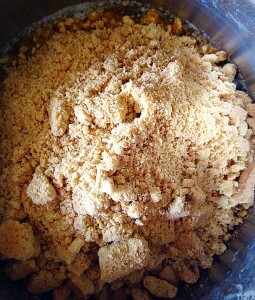 The mixture should resemble damp sand. Press the biscuit base into the tin using the back of a spoon to create a compact, even layer. 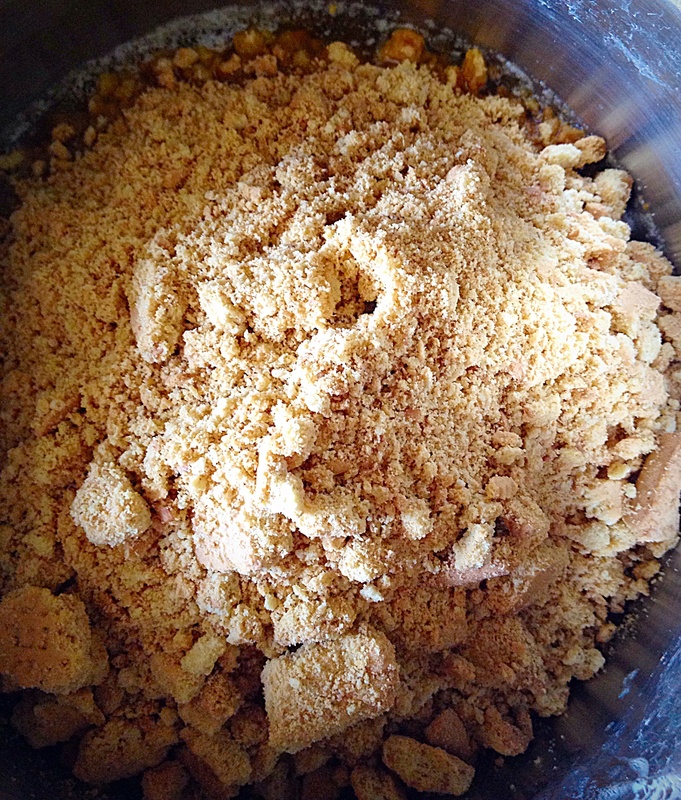 Tip the damp sand mixture into the springform pan. 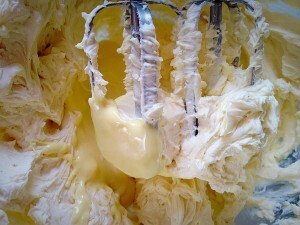 Press the mixture down evenly with the back of a spoon. 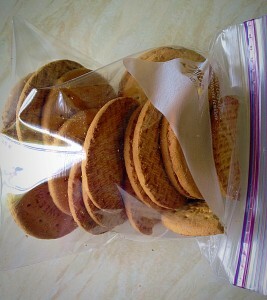 And refrigerate for an hour to set. 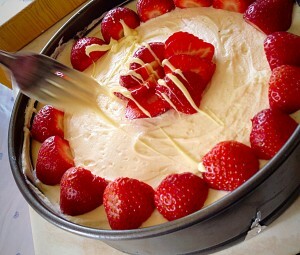 Next for the cheesecake filling – melt 75g/3oz white chocolate in the microwave, remove before completely melted and stir. 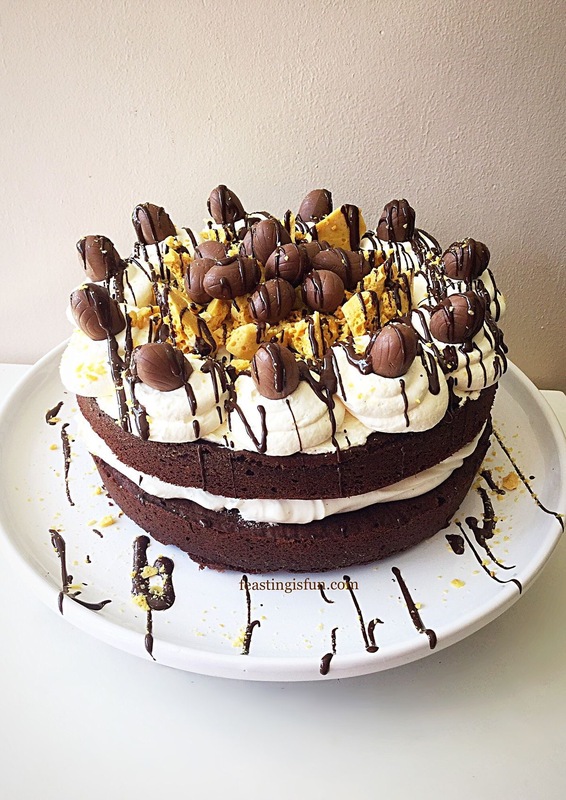 The residual heat will ensure all the chocolate melts. 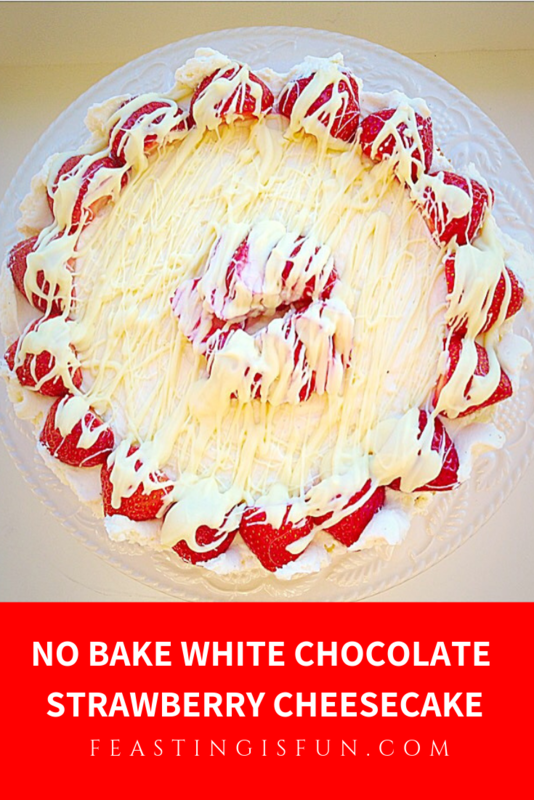 So be careful, white chocolate is the easiest chocolate to overheat. Into a large bowl add the mascarpone cheese, icing sugar, vanilla bean paste and a splash – 1tbsp of milk. 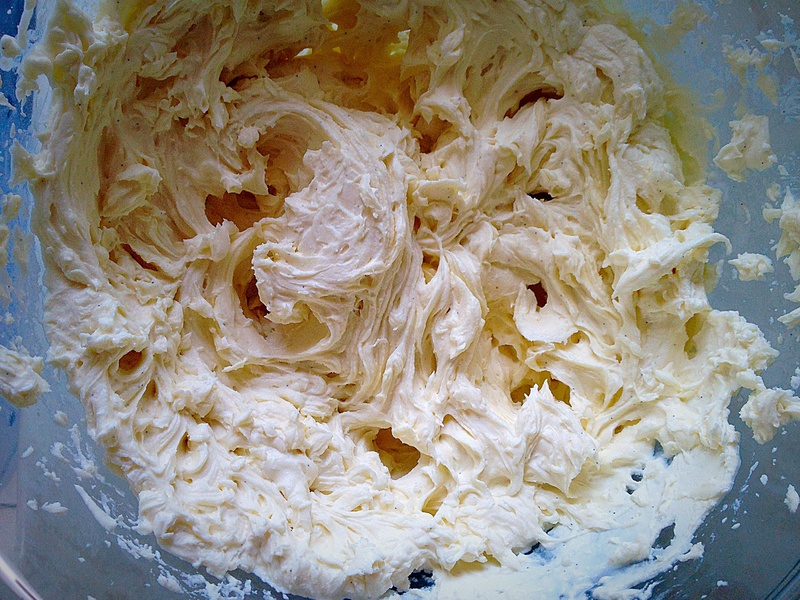 Whisk until the mixture is smooth. 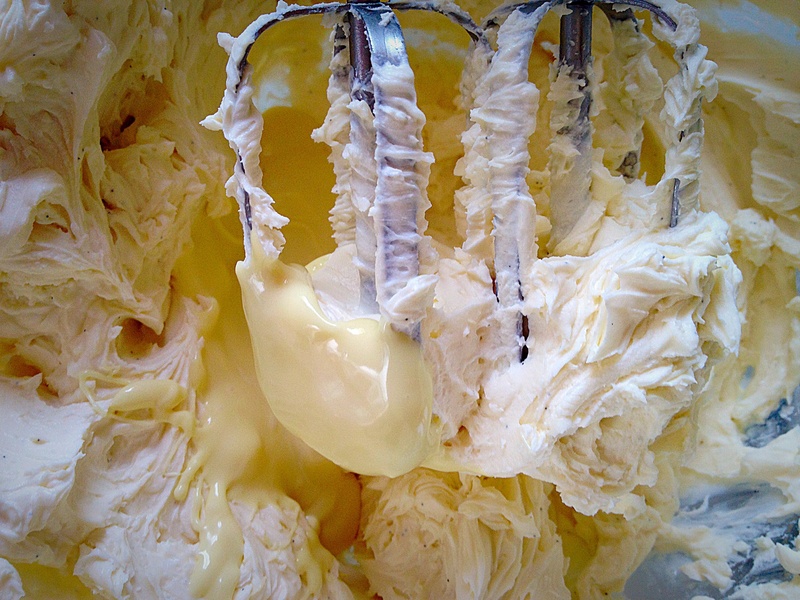 Pour the cooled, melted white chocolate into the mascarpone mix and whisk until silky smooth. 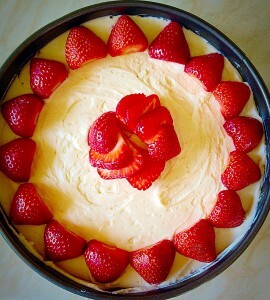 Spoon the cheesecake mixture on top of the biscuit base and smooth the top. Pop the cheesecake in the fridge while you sit on the kitchen floor and lick the bowl and spatula clean. Mmmm not too shabby! 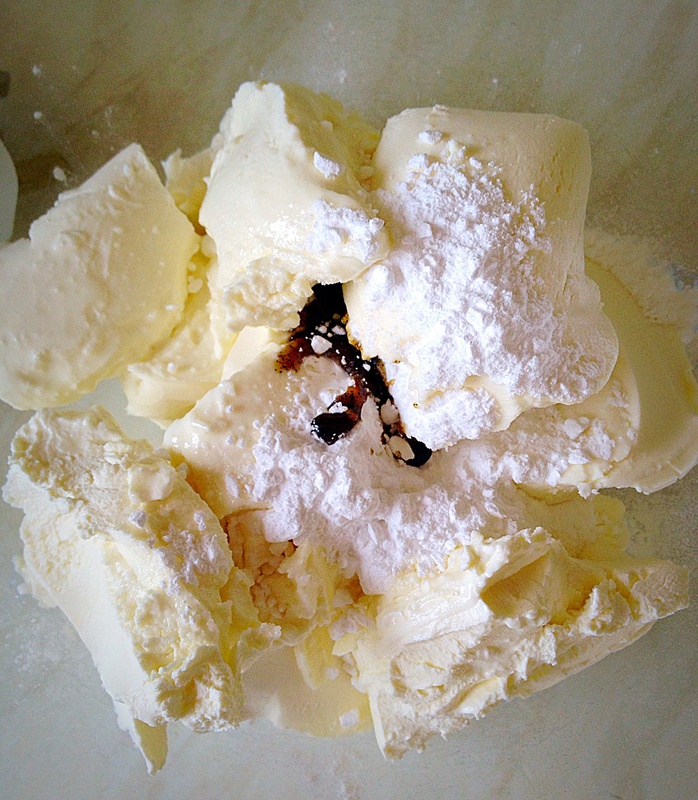 Melt the rest of the white chocolate, as before and set aside to cool a little. Also pick two strawberries for the centre of the cheesecake. 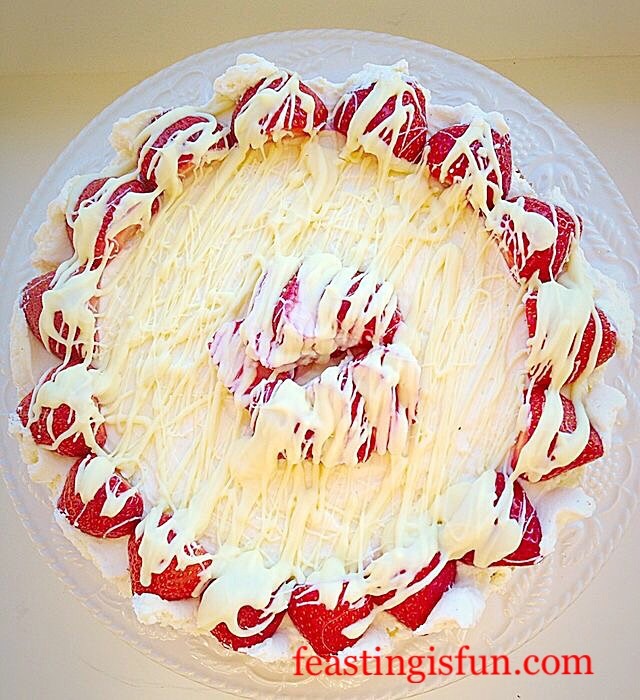 Hull and halve the rest of the strawberries. 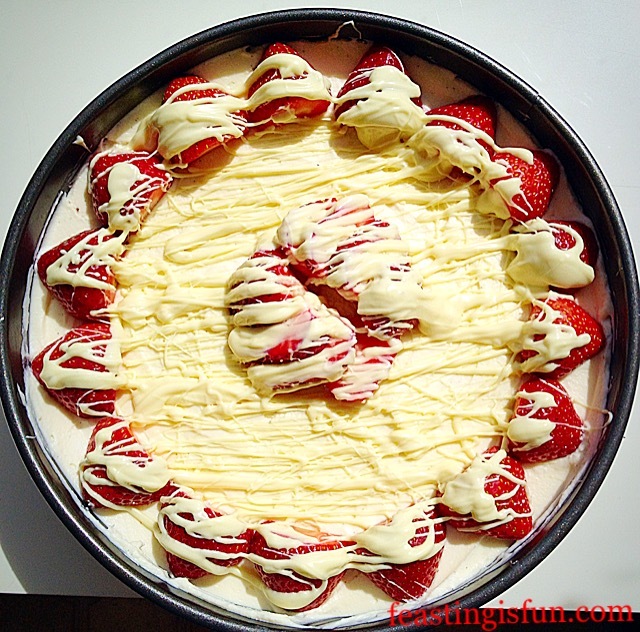 Arrange your strawberries in a pretty pattern, or just tumble them on top – it’s your cheesecake!! Using a fork drizzle the melted white chocolate from side to side. 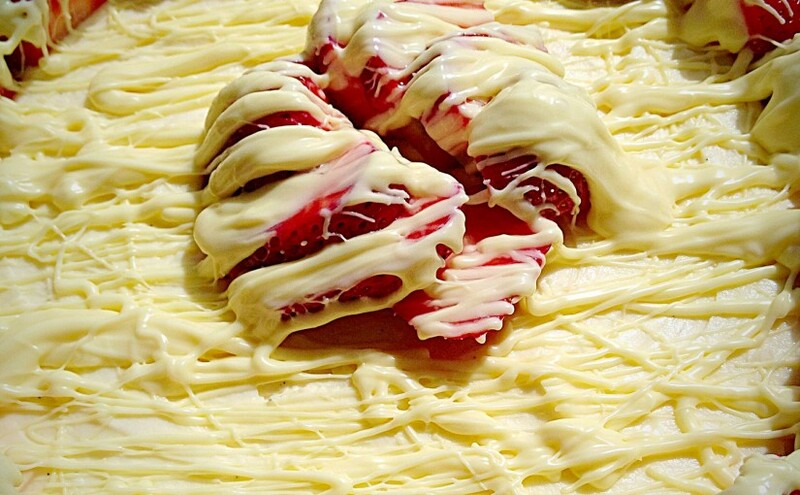 Continue drizzling until your White Chocolate Strawberry Cheesecake is complete. Finally place the cheesecake in the fridge for at least 4 hours to set (overnight would be better – but who are we kidding?). Run a palette knife around the edge of the cheesecake and release from the tin. 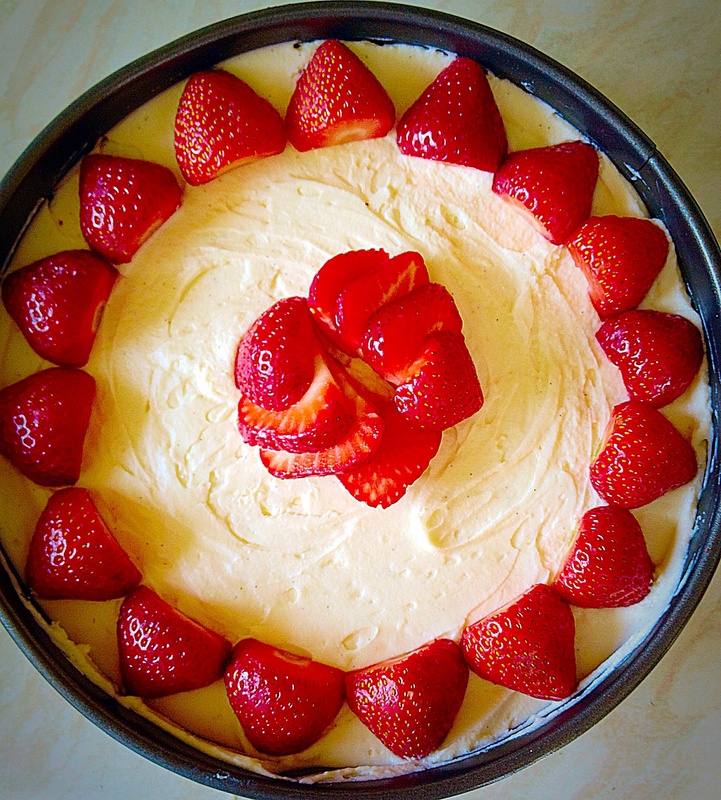 Finally place the cheesecake onto a plate or cake stand. 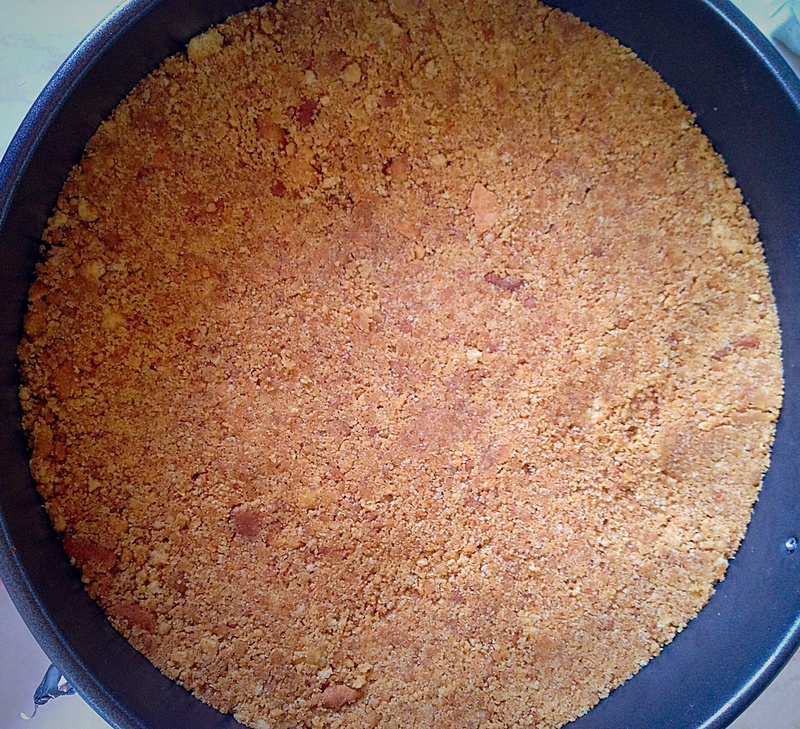 Crunch base with a soft, light, vanilla topping. 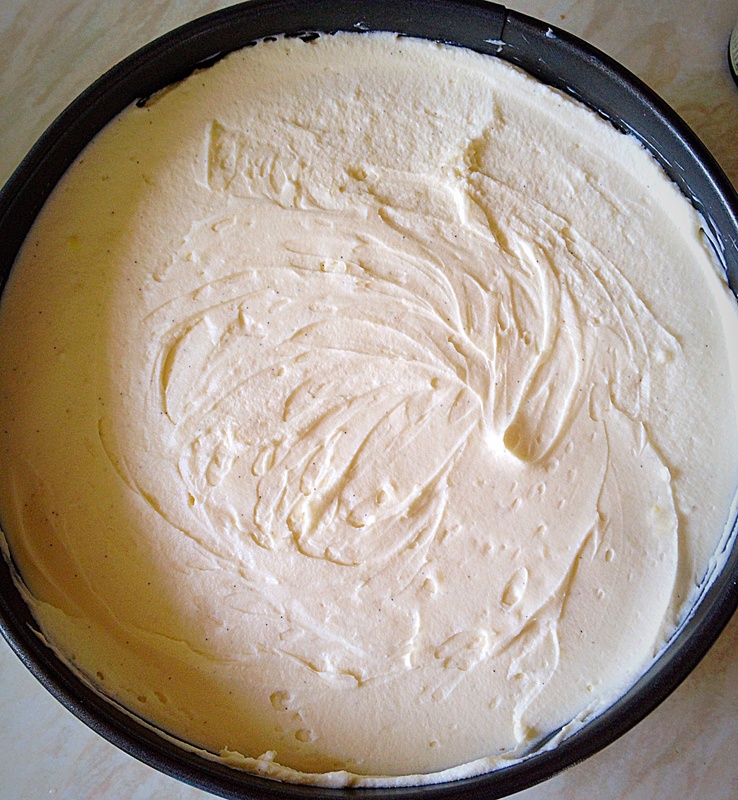 Slice the cheesecake using a sharp knife. 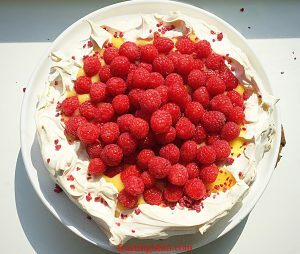 And serve on dessert plates with an accompanying fork. Cover with cling film and keep refrigerated. Eat within 3 days. While Wimbledon certainly is a highlight of my year, gathering with family to watch the final together is the biggest thrill. Because sharing time together is what matters most. Also, making memories and creating experiences that our children will tell their children about, is absolutely the heart of who I am as a parent. And I firmly believe that all food tastes better when shared. 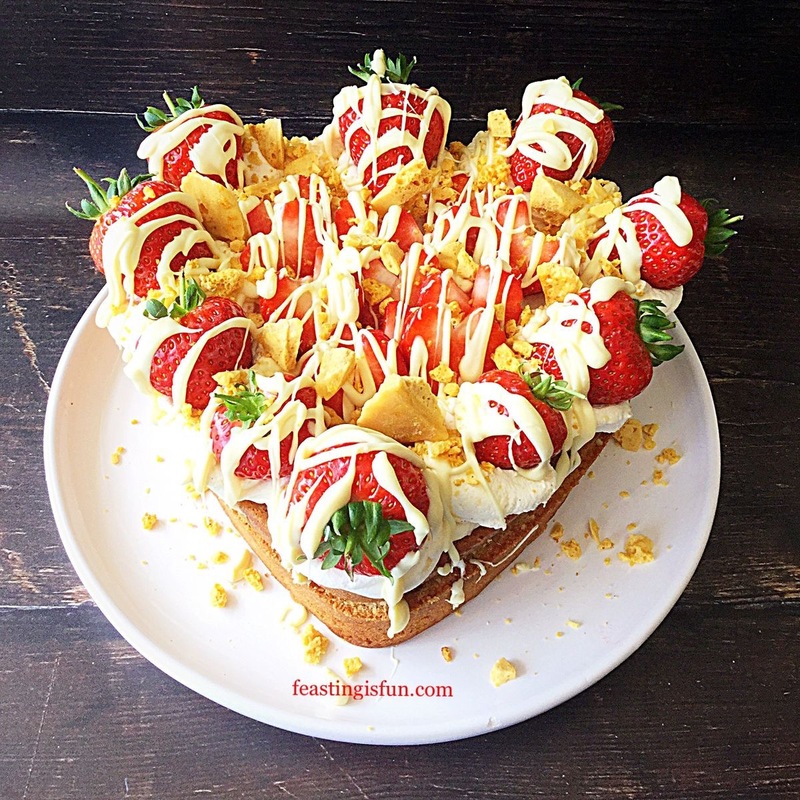 So getting together with friends and family turns simple food into a feast!